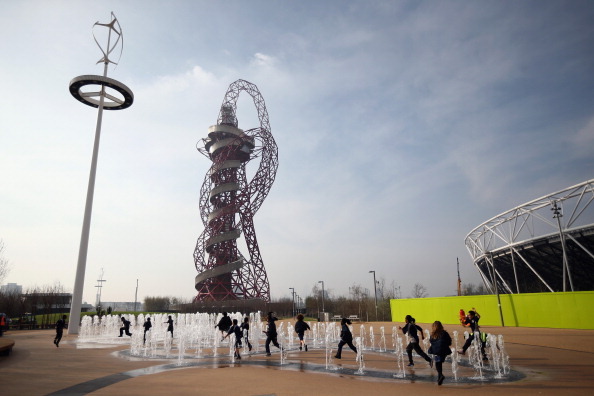 Following the naming of the Queen Elizabeth Olympic Park, a commitment was made by the London Legacy Development Corporation, the International Paralympic Committee and the British Paralympic Association (BPA) to ensure the huge impact of London 2012 was not forgotten. 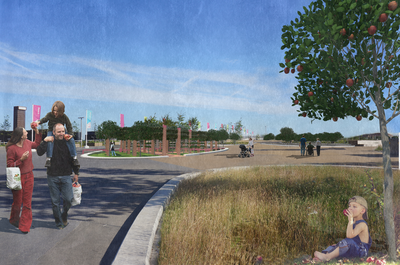 Taking inspiration from the use of apples in the London 2012 Opening Ceremony, an orchard is due to be opened at the Park in the spring of 2015. A national schools competition, run through the schools network Get Set, has also been launched today, National Apple Day, to find a name for a new variety of apple that will be grown at the orchard. The apple is being developed by mixing pollen from different apple blossoms and is only the third new variety to have been created for London in the past 50 years. "At London 2012, the Paralympic Games were truly parallel to the Olympics and the British public filled venues to capacity to experience Paralympic sport and to show their support for ParalympicsGB," said Tim Hollingsworth, chief executive of the BPA. "Mandeville Place will be a place where the public can remember the Paralympic Games and be inspired to go out and achieve their own personal dreams. "In particular, I am pleased that there will be an opportunity for schoolchildren to be involved in this new Paralympic project because we know that Paralympians are a great inspiration to young people." Children are encouraged to come up with a name that will reflect the legacy of the Paralympic Games and the winners will see the new tree grow in their school as well as at Mandeville Place. The winning name is due to be announced on December 10 by a panel including 11-time Paralympic gold medallist Baroness Tanni Grey-Thompson, London 2012 Opening Ceremony artistic directors Bradley Hemmings and Jenny Sealey, Athens 2004 Paralympics 800m champion Danny Crates and local young and disabled people. "I am honoured to have been asked to head the panel of judges that will choose the winning name for a new variety of apple to be grown at Mandeville Place," said Baroness Tanni, board member of the Legacy Company. "I can't wait to see what the country's schoolchildren suggest. "The London 2012 Paralympic Games were one of the most successful Paralympic Games ever and it gives me great pleasure to be able to see it being celebrated through the inclusion of a dedicated space in Queen Elizabeth Olympic Park. "I hope local people and tourists will enjoy picking the fruit and taking part in sports activities in the shadows of the trees." 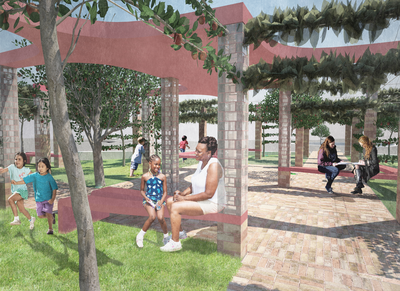 Working with local disabled people, Churchman Landscape Architects and Studio Weave will bring together apple and other fruit trees with man-made elements to create a growing pavilion that incorporates elements from the original Athletes' Village Paralympic Wall. Fruit trees native to the homes of the 34 ParalympicsGB gold medallists from London 2012 will be planted, and carved into the ground will be the Paralympic values of courage, determination, inspiration and equality as well as Professor Stephen Hawking's memorable quote from the Opening Ceremony, "Don't look down at your feet, look up at the sky; be curious". The sporting excellence and community spirit showcased at London 2012 has inspired the Legacy Company to develop a £5.5 million ($9 million/€7 million) Paralympic legacy programme. Visitors to the Park are encouraged to take part in local disability sports programmes, such as Motivate East, and watch world-class Paralympic events, including the upcoming National Exhibition Centre Wheelchair Tennis Masters at Lee Valley Hockey and Tennis Centre, due to take place from November 26 to 30. The Legacy Company is also working hard to ensure the very highest Inclusive Design Standards are applied to all of the Park's venues and new neighbourhoods. Entries for the national schools competition, which forms part of the "Road to Rio" activities that are being delivered with the 2016 Paralympic Games less than two years away, will need to be submitted by December 3, the International Day of People with Disability. Teachers will be provided with resources that will help support the competition entry as well as enable pupils to investigate the history of the Paralympic Movement, learn about the science of apple tree growing and work with literacy techniques that will support their creation of a new name. Amber Alferoff of the Urban Orchard Project, supporters of the creation and care of the orchard, added: "We are thrilled to be involved in the creation and naming of a new apple to recognise the success of the London 2012 Paralympic Games. "It is very rare for a brand new apple to be developed and we're looking to create a deliciously sweet apple that will appeal to the whole family. 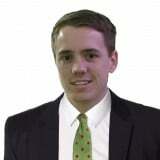 "The pollination process is complete, the apples are growing and the tasting sessions will be happening very soon. "We can't wait to find out what name the new apple will have and to see it flourish at the Queen Elizabeth Olympic Park."